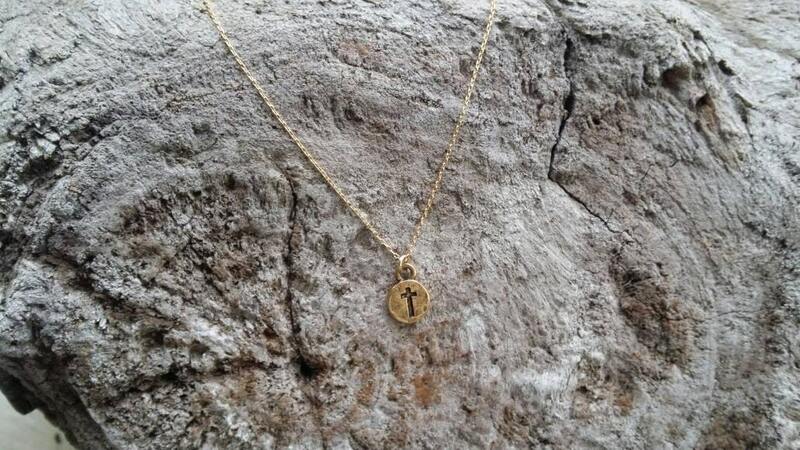 Tiny gold cross pendant. 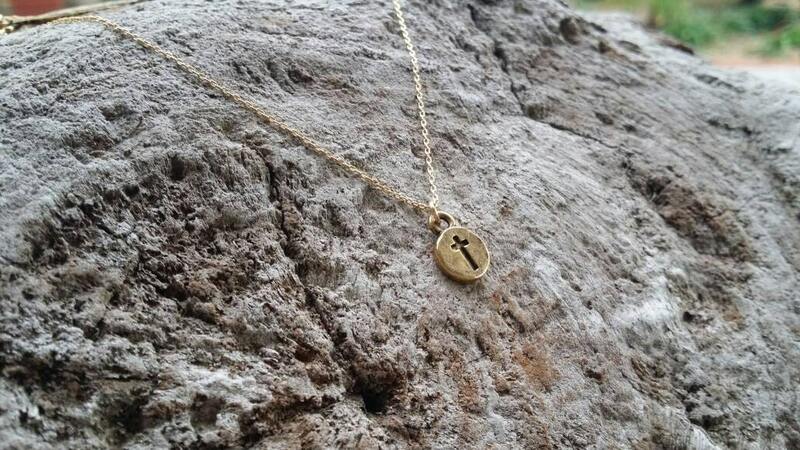 The matte gold plated charm is a dainty 9 mm across with an antique finish. 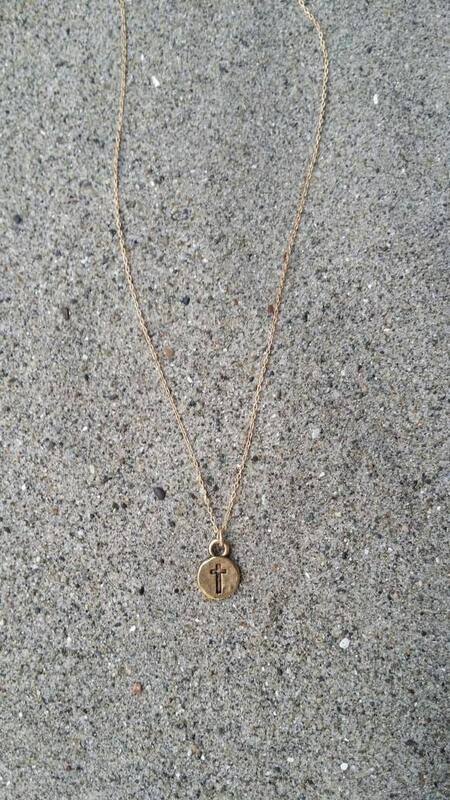 It has a delicate 14K gold fill chain going through the top of the cross. Shown here in 17" length. 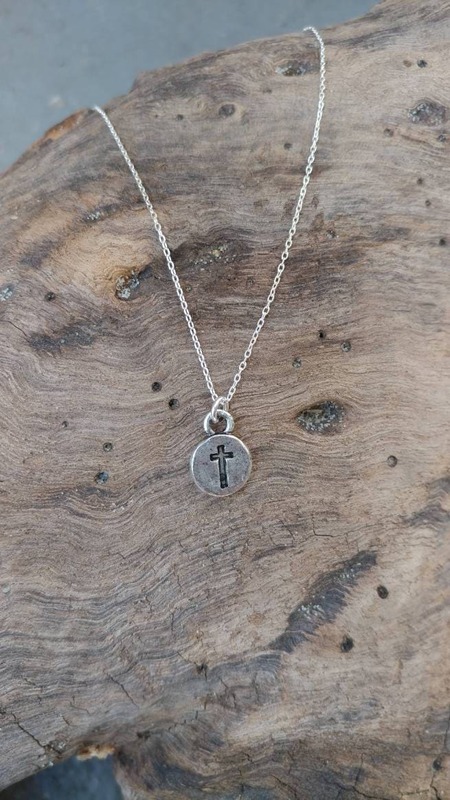 This necklace also comes in matte antique silver. 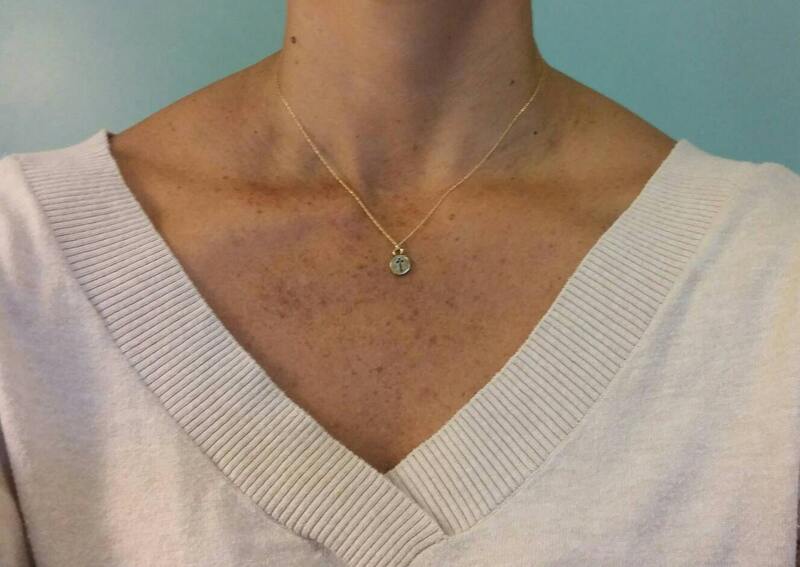 This necklace is delicate and gorgeous. The seller adjusted the size for me without a problem. I love it! Absolute perfection. Super dainty and feminine. LOVE it!! !